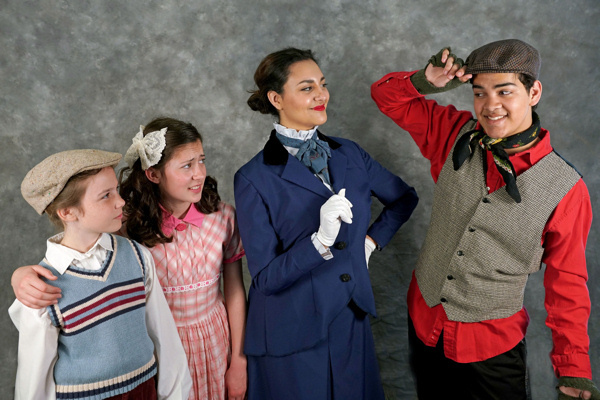 Mary Poppins, Jr. is the final production in Young Artists Ensemble�s 38th Annual Family Theatre Season, The �Season of Unexpected Magic�. Tickets can be purchased by contacting the box office at (805) 381-1246 or www.yaeonline.com. Young Artists Ensemble is an award-winning theatre company for young people that has received many accolades, including the Encore Statue Award from the City of Thousand Oaks for Excellence in the Arts. It has received top honors in the National Youth Arts Awards for many of its Teen Summer Musicals and its Conejo Theatre For Everyone. When the Young Artists Ensemble started in 1981 it was a small group performing on a shoestring budget in the back room of a local park. Today it produces an annual Family Theatre Season as well as annual Teen Dramas and Teen Summer Musicals. YAE works to instill a seed of love for the arts in the youth of this community that will continue to grow and blossom throughout their lives. Yearly it provides opportunities for hundreds of kids between the ages of 10 and 19 to perform in well-known musicals and plays, and hosts an annual program that integrates developmentally delayed adults into the theatrical community.